Microsoft Metro: What's in a Name? 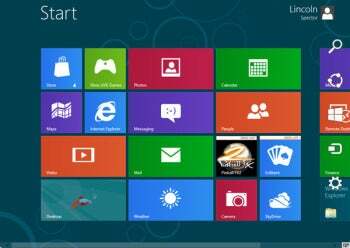 The tile-based interface for Windows 8 has been known as Metro since it was introduced with Windows Mobile 7, but this is about to change. Microsoft is looking to drop the Metro name, according to multiple reports, in favor of the term "Windows 8 style UI" to stave off a potential trademark dispute. A Microsoft internal memo seen by The Verge indicates a discussion with a European firm prompted Microsoft to stop using the Metro name for its tile-based UI. The other company is believed to be Metro AG, the German retail giant. Employees and developers have to adhere to the new Windows 8 style UI name immediately, the memo says. But the trademark conflict theory seems to prevail. TechCrunch columnist MG Siegler is skeptical about why Microsoft is dropping the Metro name: “Oh! It was always the plan to move away from the name at the last second without another name ready to go. I see. However, Kip Kniskern at LiveSide.net uncovered some evidence indicating that Microsoft was distancing itself from the Metro name around two weeks ago, where the press release announcing Office 2013 used the term “Windows 8 style applications for Office” instead of Metro, and Steve Ballmer mentioned the name change in his introduction.